Sugar Blues is a book written by William Dufty. The book was released in 1975, and became a commercial success. The author argues that sugar is an unnatural, addictive drug that is harmful and damaging to human health. 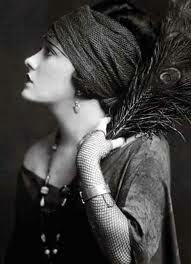 Dufty was married to the late silent film star Gloria Swanson, a health crusading vegetarian and non-smoker. She and Dufty went on tour promoting Sugar Blues during the late 70s. Today Sugar Blues still sells, and is available on Amazon. If you want to know what others think about this book, before you buy it, there are plenty of customer reviews on the selling page. Most reviewers give it 5 stars. Just scroll down to the bottom of the page to read them. Sugar is added to most packaged food. It is difficult to avoid, hard to resist, adds unwanted calories to our diets, and isn’t healthy for the adrenals glands. If you’re having trouble losing weight, and you can’t stop eating sweetened foods, get yourself a copy of Sugar Blues, and see what you think. Posted on November 3, 2012, in Overweight and Obesity, Recommended Products and tagged Gloria Swanson, obesity and sugar, Sugar addiction, sugar and health, William Dufty. Bookmark the permalink. Leave a comment.